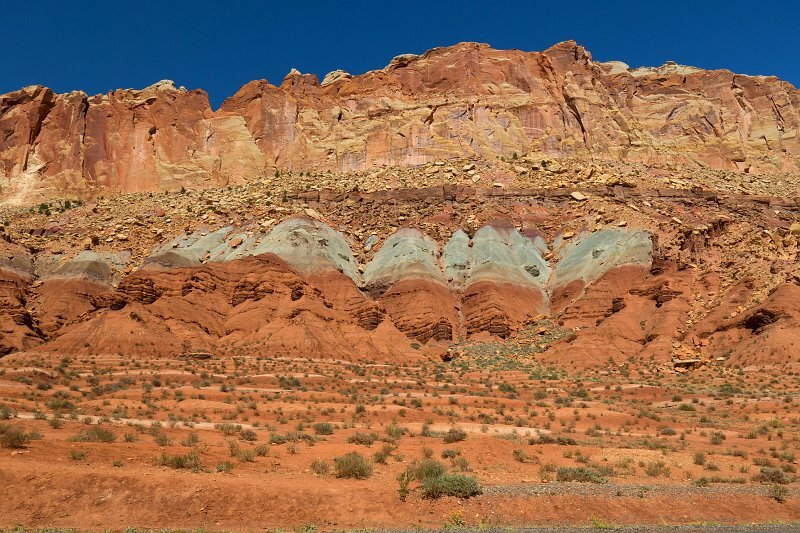 Capitol Reef encompasses the Waterpocket Fold, a warp in the earth's crust that is 65 million years old. It is the largest exposed monocline in North America. In this fold, newer and older layers of earth folded over each other in an S-shape. This warp, probably caused by the same colliding continental plates that created the Rocky Mountains, has weathered and eroded over millennia to expose layers of rock and fossils. The park is filled with brilliantly colored sandstone cliffs, gleaming white domes, and contrasting layers of stone and earth.